THERE'S nothing more annoying than a head cold - just ask Kyle Chalmers. And sleep was the star swimmers biggest asset going into Tuesday night's victorious 4x100m medley relay. 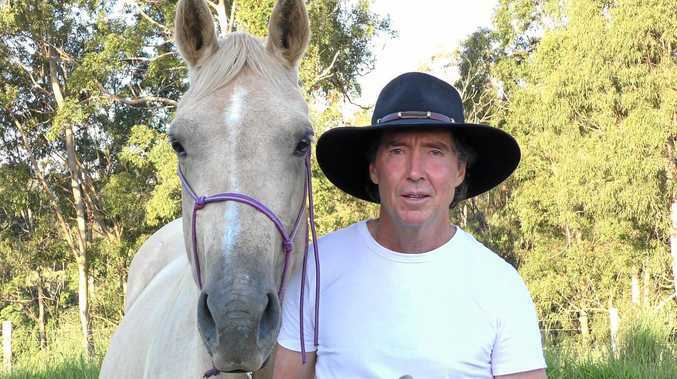 The South Australian has struggled with a common cold throughout the Commonwealth Games, with blocked sinuses proving difficult to manage when swimming. Team doctors "threw everything at me", Chalmers said, throughout the meet, but it was good old fashioned rest that allowed him to bring the men's relay home in style in the final race of the Games on Tuesday night. "When your sinuses get blocked up, it's pretty hard to go underwater and do turns and that sort of thing," Chalmers said on Wednesday. 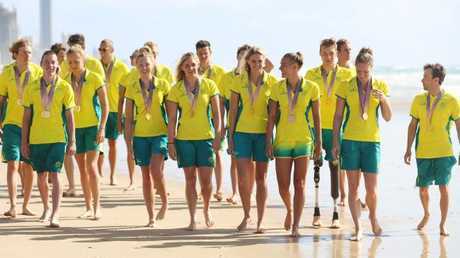 The Aussies celebrate their bronze after Kyle Chalmers’ epic swim. "The doc was throwing everything at me to try and get me up and I think I was lucky I had that day in between the 100 freestyle and the medley relay that I could just sleep and try and get over it as quickly as possible. It wasn't too bad, just a basic head cold." Chalmers joined his fellow swimming medallists at Mermaid Beach on Wednesday morning, the group having swelled to 25 medallists after Tuesday night's efforts. 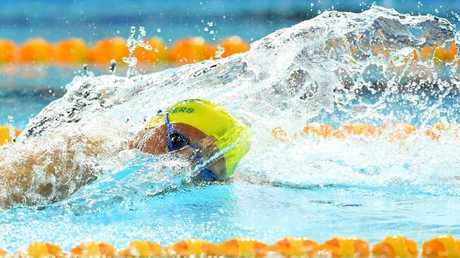 The 19-year-old bore the pressure of being the Olympic 100m freestyle champion heading into the Commonwealth Games. But he said that he had relished the challenge of being the hunted, who was eventually overcome in the final by Scotsman Duncan Scott. "My theory is that natural talent takes you so far, and Rio was probably that natural talent kind of thing and flying under the radar," Chalmers said. "Then it's kind of been that hard work that has gotten me to succeed at this meet in front of a home crowd and having that pressure on me and people knowing who I am. It was a challenge for me, but it's something that I really enjoyed doing." But he admitted that he may not have used that pressure to rile himself up enough before that race. "In the 200m I definitely felt nerves and the pressure. Not necessarily because it was my main event, but I just felt that pressure and it helped me perform," he said. "In the 100m, I probably lacked in that a little bit. I probably was not as nervous as I should have got myself, but I was battling the head cold at that stage. I'm really happy with how everything went. There's some things I can take forward." Chalmers, a mad Port Adelaide fan, kicks the Sherrin around pre-race and said growing up in a football environment - with father Brett playing 75 games for Adelaide and Port Adelaide - only boosted him in the relay. "Footy is my massive passion and being in a team environment like a relay last night ... that just helps me because of my background of playing footy as a kid and I've grown up in that team environment," he said. The swimmers gathered at a team-only celebration in Broadbeach on Tuesday night, and while Chalmers was weary he said it was a low-key way to see out the meet before training kicks back in virtually straight away. "We've got three or four light swims this week or something, but back into the pool as soon as possible, really," he said. "We've only got 80 days until Pan Pacs, so there's not a whole lot of time to really stay fit. Then we'll have a good break after that."